solely pursuant to the following terms and conditions. Warranty is limited to a 90-day industry standard coverage. a. Express Warranty Enable-IT warrants to the original End User that products and any services furnished here-under will be free from defects in material and workmanship as of the date of delivery, and will conform to Enable-IT’s published technical specifications. The foregoing shall apply only to failures to meet said warranties which appear within that period of time during which the Products are installed in their original installation for the original End User and operator of such Products; provided, however, that in the event of product discontinuance, warranty support is limited to five (5) years from the announcement of discontinuance. Notwithstanding the preceding sentence, the duration of the warranty period for products not manufactured by Enable-IT. Electrical damage is not an item that is covered under this warranty or extended warranties. Enable-IT does not make any warranty with respect to any third party product, software or accessory supplied with or used in connection with the Product and such third party products, software and accessories, if any, are provided “AS IS.” Warranty claims related to such third party products, software and accessories must be made to the applicable third party manufacturer. e. Warranty Disclaimers THE EXPRESS WARRANTY SET FORTH ABOVE IS IN LIEU OF ALL OTHER WARRANTIES, WHETHER WRITTEN, ORAL, EXPRESS OR IMPLIED. 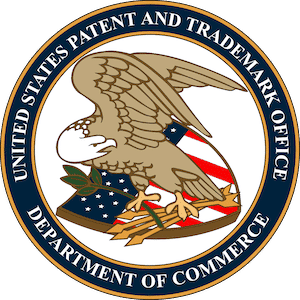 ENABLE-IT DISCLAIMS, TO THE MAXIMUM EXTENT PERMITTED BY LAW, THE IMPLIED WARRANTIES OF MERCHANTABILITY, FITNESS FOR A PARTICULAR PURPOSE OR NONINFRINGEMENT OF THIRD PARTY RIGHTS. NO PERSON (INCLUDING WITHOUT LIMITATION, ENABLE-IT’ EMPLOYEES, AGENTS, RESELLERS, OEMS OR DISTRIBUTORS) IS AUTHORIZED TO MAKE ANY OTHER WARRANTY OR REPRESENTATION CONCERNING THE PRODUCT. 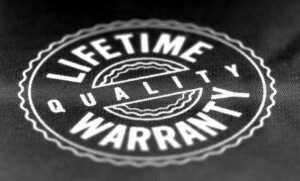 IF THE DISCLAIMER OF ANY IMPLIED WARRANTY IS NOT PERMITTED BY LAW, THE DURATION OF ANY SUCH IMPLIED WARRANTY IS LIMITED TO ONE (1) YEAR FROM THE DATE OF PURCHASE. SOME JURISDICTIONS DO NOT ALLOW THE EXCLUSION OF IMPLIED WARRANTIES OR LIMITATIONS ON HOW LONG AN IMPLIED WARRANTY MAY LAST, SO SUCH LIMITATIONS OR EXCLUSIONS MAY NOT APPLY. THIS WARRANTY GIVES THE END USER SPECIFIC LEGAL RIGHTS AND THE END USER MAY ALSO HAVE OTHER RIGHTS WHICH VARY FROM JURISDICTION TO JURISDICTION. ENABLE-IT DOES NOT WARRANT THAT THE OPERATION OF THE PRODUCT WILL BE UNINTERRUPTED OR ERROR FREE. The firmware and software embedded in the Product (the “Embedded Software”) are licensed to you. Your use of the Product is your acceptance of the warranty terms above and the terms below. You may use the Embedded Software solely in conjunction with your use of the Product. All worldwide right, title and interest in and to the Product, or any portion thereof (including but not limited to the Embedded Software), including all copyrights, patent rights, trademarks, trade secrets, and other intellectual property rights therein and thereto, are and shall remain the exclusive property of Enable-IT and/or its licensors. You acknowledge and agree that you may not, and may not allow any third party to, (i) use the Embedded Software in a manner that is inconsistent with the above express right granted to you or (ii) modify, distribute, reproduce, decompile, disassemble, reverse engineer or otherwise attempt to discover the source code for the Embedded Software.